Gazprom plans to become one of the first Russian companies to place shares on the Hong Kong Stock Exchange, according to Finance Director Andrey Kruglov. 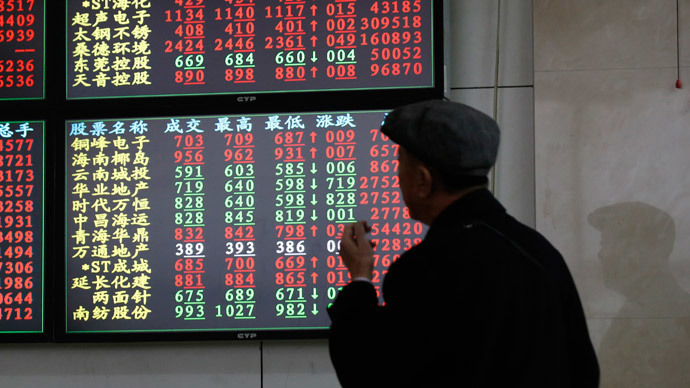 “We’re working to sign an agreement with China in the near future, then we’ll have no obstacles to enter China’s Stock Exchange”, the finance head said on Thursday in an interview with the Rossiya-24 television channel. The company listed on the Singapore stock exchange in 2014. Gazprom held the annual Investor Day for the first time in Hong Kong in the beginning of February, the event was met with great interest by the investment community. Gazprom already has access to an expanded listing on Asian stock exchanges after the company was given the highest AAA credit rating by China’s Dagong Global rating agency earlier this month. The plan for Gazprom to entering the Hong Kong stock exchange will bring the financial markets of the two countries closer. Trading on the stock exchange will allow prices to be regulated by the market and the company could thus give discounts, the Gazprom executive suggests. Prices and discounts are currently regulated by the government. This will also help Gazprom attract from half a billion to a billion dollars for the construction of the Power of Siberia gas pipeline which is expected to deliver 3 trillion cubic meters of gas to China over 30 years. In January 2010, Russian aluminum producer Rusal became the first Russian company to list on the Hong Kong Stock Exchange raising $2.6 billion in an IPO with a price of $10.8 per share.